Blue Jays great, Roy Halladay was killed when his plane crashed into the Gulf of Mexico Tuesday. He was 40. Joe Siddall still remembers watching Roy Halladay throw a near no-hitter against the Tigers back in 1998. The legendary pitcher's perfect game was snapped in the ninth inning by a pinch-hit home run, but Siddall, who was playing for the Tigers at the time and now works as a broadcaster for the Blue Jays, said that game left an impression that's still strong almost two decades later. "He was just one of the most dominant pitchers in the game," said Siddall. "As a catcher you certainly appreciate any pitcher practicing their craft and he was certainly a lot of fun to watch." Halladay was killed Tuesday when his plane crashed into the Gulf of Mexico. He was 40. 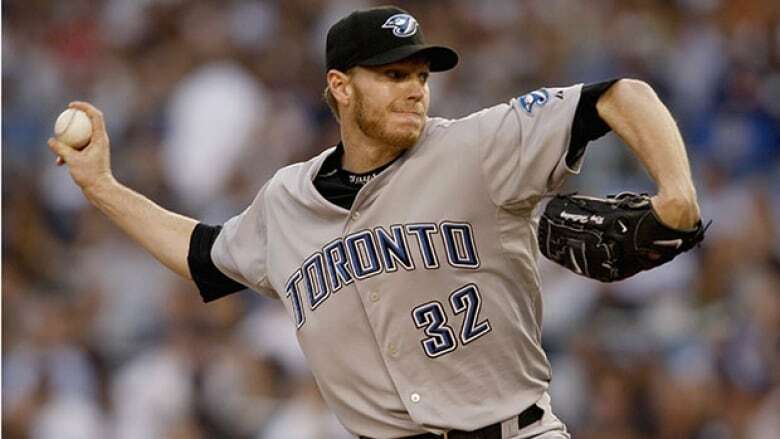 Halladay, nicknamed Doc, played for Jays from 1998-2009, winning the 2003 Cy Young Award as the American League's best pitcher. He won the National League Cy Young Award in 2010 after being traded to the Philadelphia Phillies in December 2009. He was inducted into the Canadian Baseball Hall of Fame in June. "It's a crushing blow," said Siddall, who joined a chorus of voices across Major League Baseball mourning Halladay's death. "I've heard nothing but wonderful things about the man." In a statement issued through Twitter, representatives of the Jays said they were "overcome with grief" over the "tragic loss of one of the franchise's greatest and most respected players, but an even better human being." "It is impossible to express what he meant to this franchise, the city and its fans," it read. "Our thoughts and prayers are with his family and friends." Halladay is survived by his wife Brandy and two sons, Ryan and Braden. "What I think most about is his wife and two kids," said Siddall through tears. "It's really very difficult when you hear news like this … when I hear people talk about him there's nothing but great, and not just the baseball player he was, but the father and the husband that he was and I think that's what's so sad today."